To create lazy dumplings, you will take much less time and effort than in the preparation of the classic version. 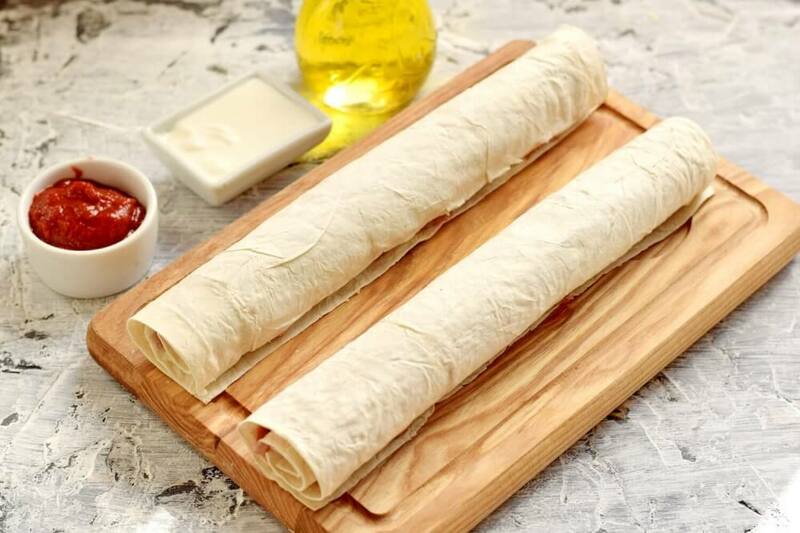 The whole secret is to replace the dough with ordinary thin pita bread. 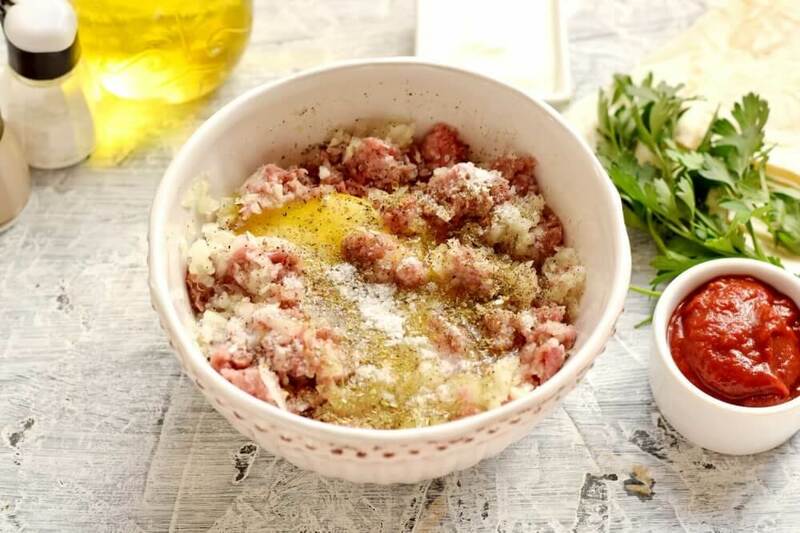 These dishes do not differ in taste; they also include minced meat. 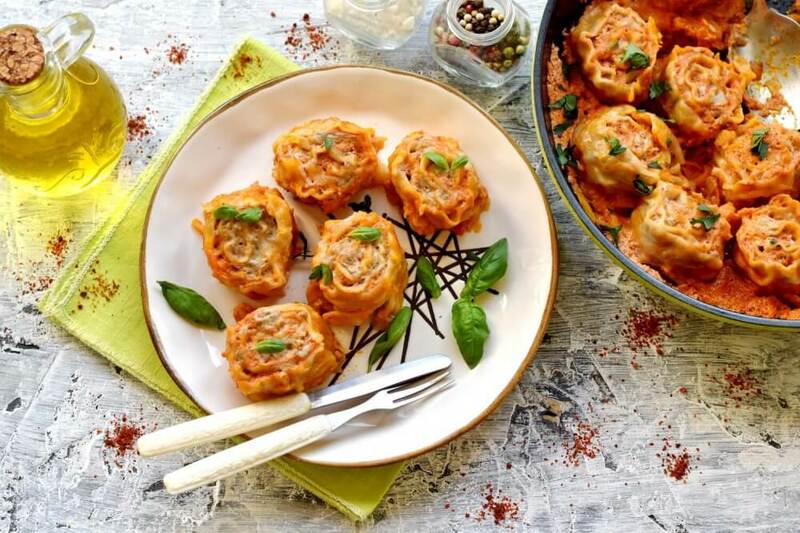 The only difference is in the appearance – lazy dumplings are a bit like rolls. 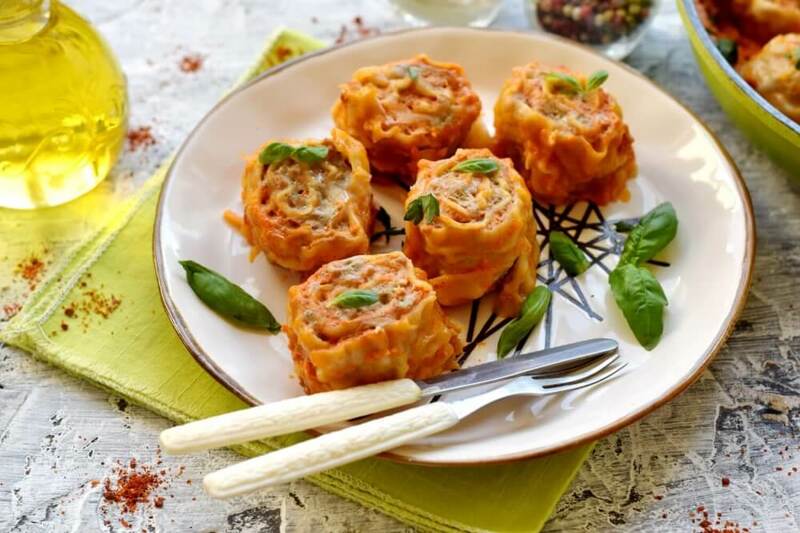 For brightness in taste, such dumplings can be supplemented with carrot-onion passing and sour-sweet pouring based on tomato and sour cream. 1. Peel carrots and onions from the top layer, then rinse, chop carrots straws, cut half of the onion head cubes, leave the rest for the mince. 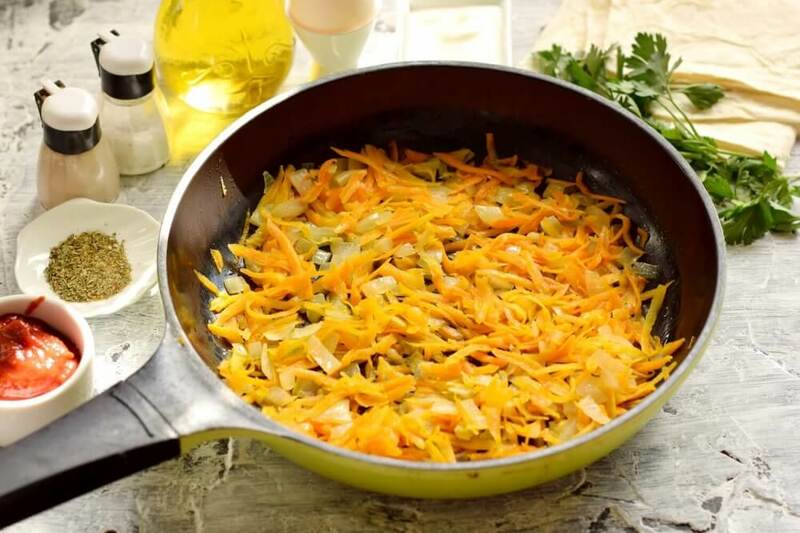 Put vegetables in an oiled frying pan, set on medium fire. 2. 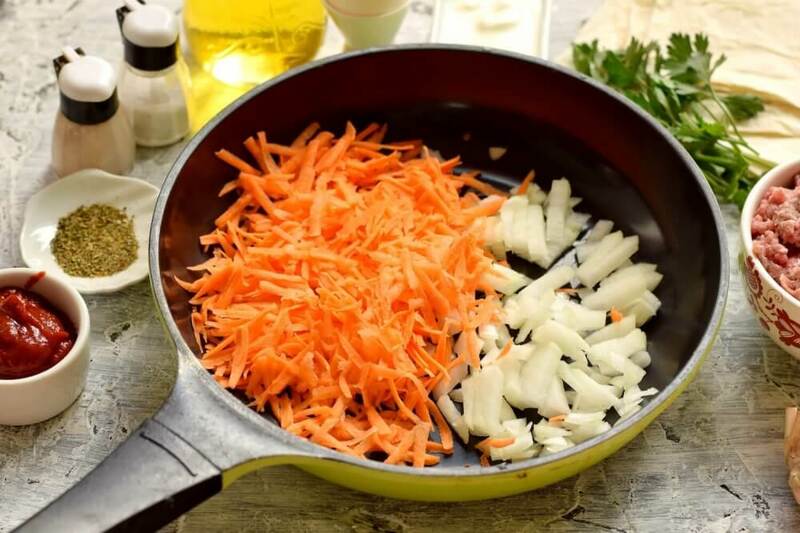 Pass the vegetable mix for a few minutes until the onion is transparent and the carrots are soft. 3. 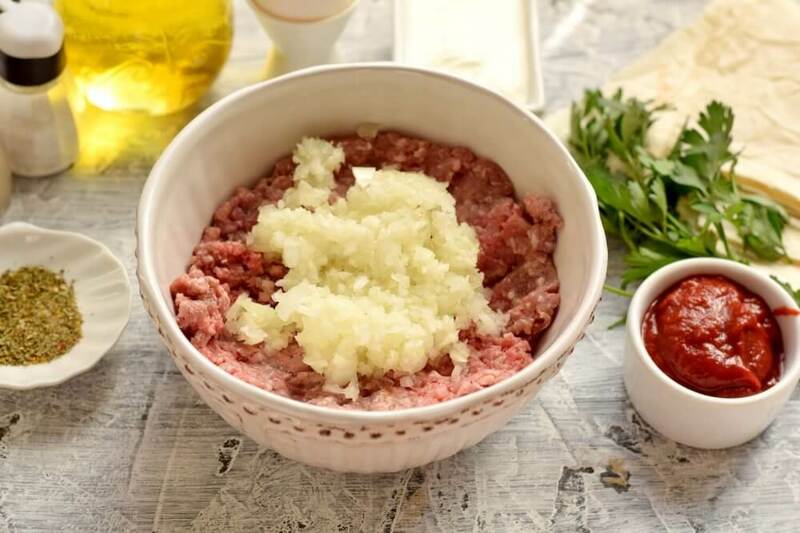 Place the minced meat in a deep bowl. 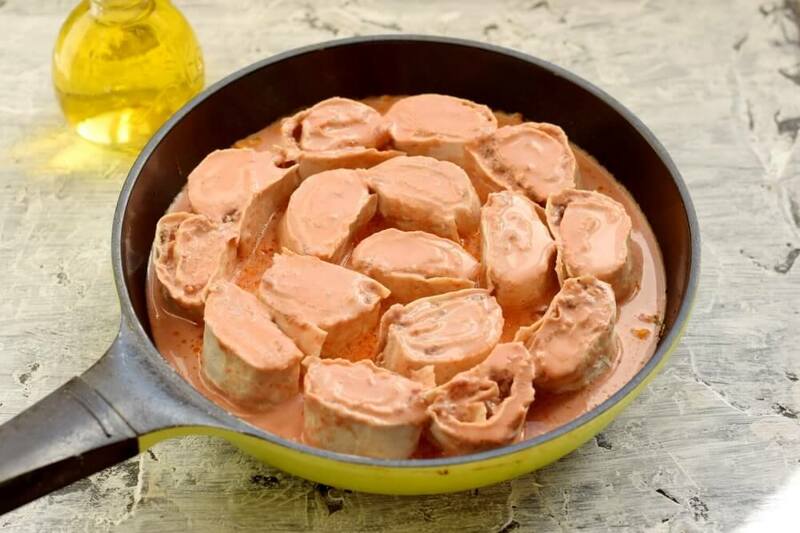 Turn the remaining half of the onion head into a puree using a blender, mix it with the meat mass. 4. Add one egg into the meat mixture, add salt and mentioned spices to taste. Stir the mixture thoroughly, completely connecting all the components together. 5. Cut a long sheet of pita bread into 2 halves, place them on a work surface, smooth them. From above put a layer of forcemeat, pay enough attention to the edges. 6. 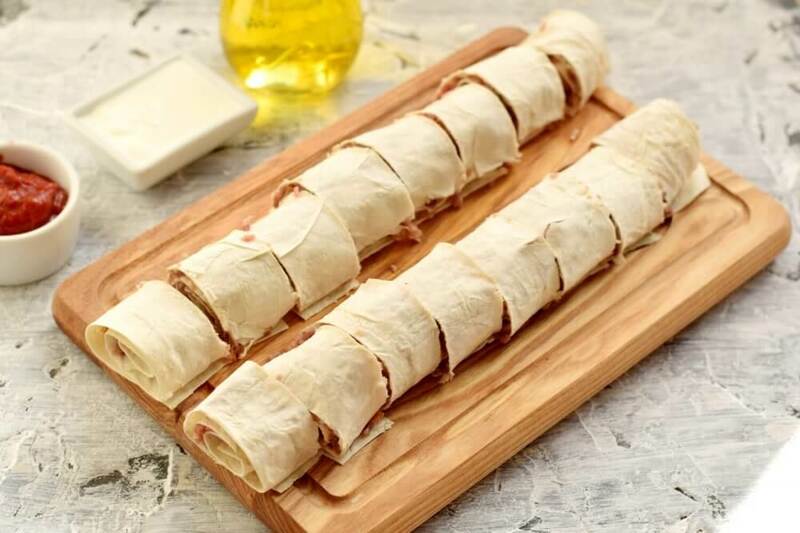 Roll pita bread with stuffing into a roll. Do it as tightly as possible. Do the same with the following instance. 7. 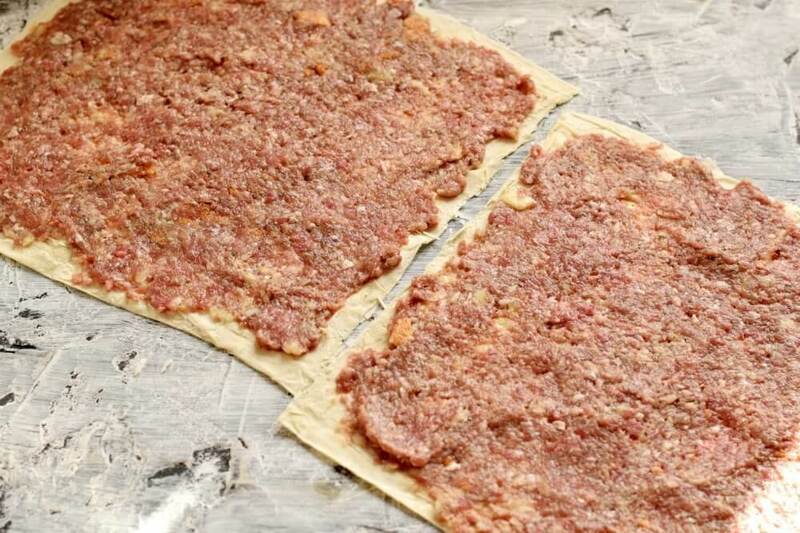 Leave the rolls for 10 minutes, so that the minced meat is slightly soaked with dry pita bread, then it will be easier to cut. Then divide it with a knife, getting the same small pieces. 8. 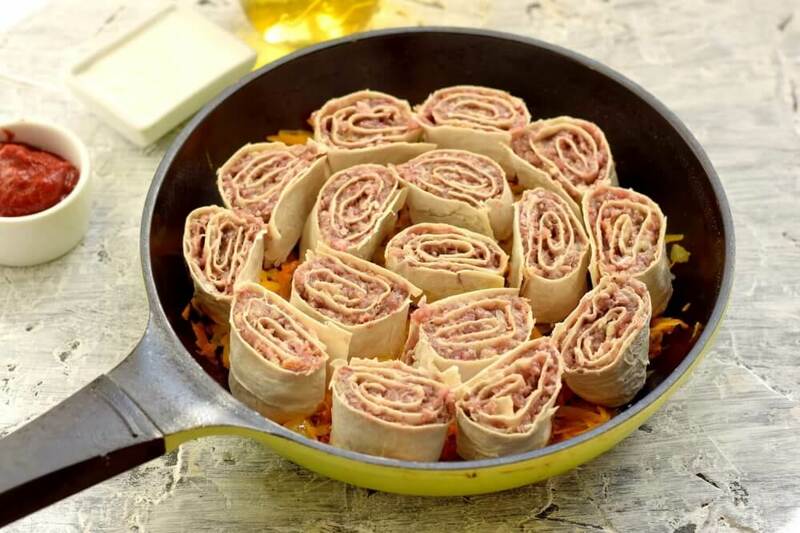 In the frying pan with onion-carrot passig, put the resulting pieces of pita and minced meat. 9. 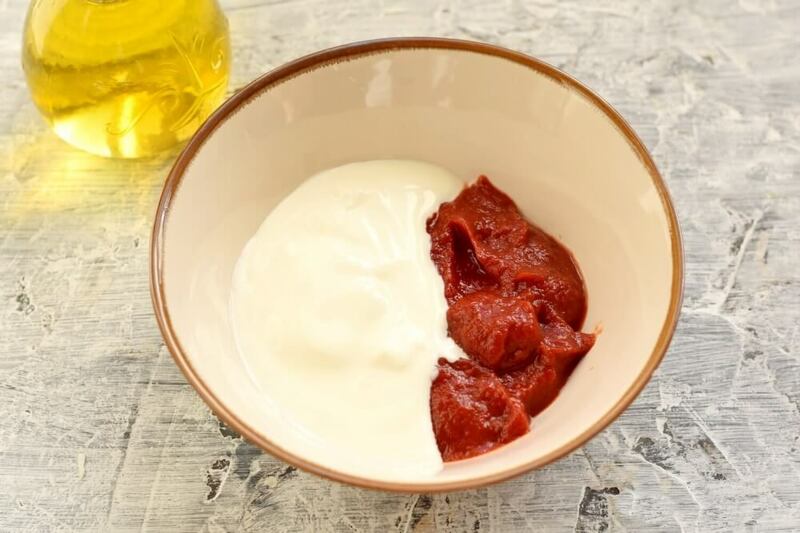 At the same time, prepare the filling by mixing tomato paste and sour cream in a small bowl. 10. 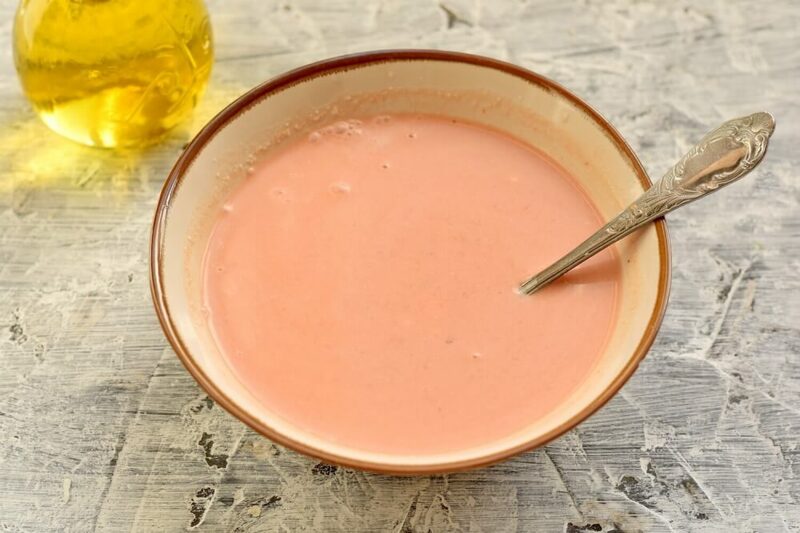 Pour water into the mixture of sauces, chop well with a fork so that a uniform liquid fill is obtained. 11. Pour the mixture on top of the dumplings. Place the container with the contents on the stove, languish under the lid for the next 20 minutes. 12. Sprinkle with greens before serving.